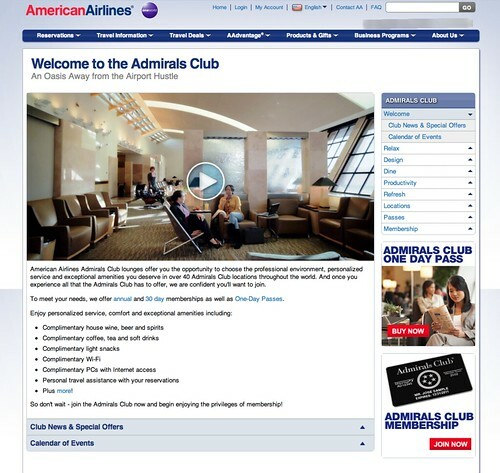 Perhaps this is a little inside baseball, but the Admirals Club section at AA.com has been redesigned. It’s much better looking and the content has been reorganized so that now it’s easier to find information (especially if you’re trying to find locations). Trying to understand lounge access policies is probably one of the main reasons visitors to come to the site. 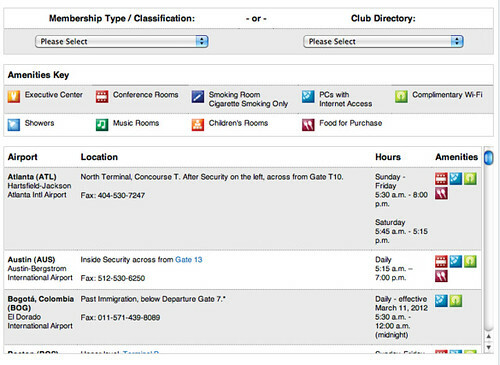 Now they’ll be able to use the new Admirals Club access tool to help them determine whether, where, when they’ll have access to a club. Purchase a new annual Admirals Club membership online today and save $100 on the annual membership fee. Use promotion code ACQ112 online and then click the RECALCULATE button to receive the discount. This offer was set to expire on February 29, but yesterday I heard from a reader (thanks Evan!) that the code is still working. I’m already a member so I wasn’t able to try it myself, so I sent a note to a friend and asked him to give it a try. It worked for him too. Not sure when this discount will expire, but if you’ve been considering a membership, now is probably a good time to buy. A quick note: You many have noticed, but there were a few technical difficulties with Boarding Area the last couple of days. Thanks to the effort of the BA IT team, everything is working again. I was planning to give away an American Airlines USB card and a free Gogo Wifi code each day this last week, and we had two winners before the website troubles started, so I still have three more cards to give away. Just to be certain that the Boarding Area server is going to behave, I’m waiting until Monday to restart the reader giveaway. Speaking of restarting a reader contest, Lufthansa Flyer is relaunching his ‘My Most Embarrassing Moment As A Tourist’ Contest. Share your most embarrassing story from the road and you might win an iTunes gift card. If you’re story is too embarrassing to share, at least read some of the stories in the comments section. There’s some pretty funny stuff there. I didn’t spend too much time looking, but it looks like the Flagship Lounge access info got lost in the new lounge pages.